What’s the difference – partial or full? A partial denture replaces either one lost tooth or a group of teeth on the upper or lower jaw. They attach to the remaining teeth with either metal clasps or – the more expensive option – precision attachments. The latter are more aesthetically pleasing as they’re nearly invisible. Dr. Parducho will be happy to give you all the advice you need in order to choose which option is better for you. Dr. Parducho may also recommend crowns on your natural teeth as they improve the fit of your partial dentures. Full dentures are a total replacement for either the upper or lower teeth, or both. Any remaining teeth are removed and gum tissue is allowed to undergo preliminary healing before the dentures are placed in the mouth. Over dentures are a more stable solution than traditional dentures and they minimize the amount of bone loss that usually occurs with tooth loss; this helps preserve the facial structural integrity. Unlike the traditional dentures, overdentures utilize up-to-the-minute dental implants for more comfort, stability and durability. A number of implanted attachments are placed in the jaw then the overdentures are positioned securely in place. It means that they are still removable, making them easy to clean. Your new full or partial dentures may feel awkward or bulky during the first few weeks until your mouth finally adapts. A little bit of practice is also required when putting your dentures in and taking them out. Before long, they will fit into place with relative ease. Follow the instructions from your dentist, and make sure you don’t force the denture into position by biting down, as that could bend or break the clasps. When eating with your dentures on for the first time, start with soft foods, such as a purée, soup, boiled eggs, ground meat or some cooked vegetables. For breakfast, soft cereals, such as warm porridge, can be a great choice. Foods and liquids may taste different in the early stages but your sense of taste will eventually improve. It can be difficult to judge temperatures properly due to the insulating quality of the denture, so be careful with hot foods or drinks, otherwise you risk burning your mouth. It’s also important to take small bites, chewing on both sides of the mouth to keep even pressure on the denture. While you can eat almost anything, you may want to avoid some of the more ‘difficult’ foods, such as crusty breads, tough red meats and chewing gum. A regular cleaning routine will make your dentures last longer. It removes plaque, as well as minimizing odor. When brushing each night, use a soft-bristle denture brush with water. Scrub gently to remove any loose food particles, making sure you don’t bend any attachments. After cleaning your teeth, leave your dentures in the bathroom to dry as this helps avoid bacterial growth. This ‘rest time’ also helps prevent you from grinding your teeth in your sleep, and gives your mouth a chance to rest. Dentures can be soaked in a denture cleanser – such as creams, pastes, gels or tablets – or cool water. Get advice from your dentist as some soaking solutions aren’t suitable; it could tarnish any partial dentures that have metal attachments. Will dentures need any adjusting? If your dentures no longer fit properly, visit your dentist. They may need some adjustments to prevent irritation or infections. Also, you will usually need to see your dentist every six months for a check-up and for them to review the denture’s condition. Full and partial dentures replace missing teeth comfortably and attractively. Beach Smile Dental offers both full and partial dentures. Full dentures will replace an entire set of teeth (upper, lower, or both), and a partial denture replaces a span of lost teeth, filling only the empty spaces. Full or complete dentures are custom-made from molds and impressions of your mouth in order to provide a snug and comfortable fit. The dentures look like natural teeth and are carefully positioned to look natural. Dentures are removable, and so may require some adjustments in order to fit your mouth perfectly. However, once the optimal fit is achieved, dentures are long-lasting and reliable. Partial dentures are similarly constructed, but replace only the missing teeth and use the surrounding teeth to anchor the plate in the mouth. It’s even possible to have a fixed partial denture, in which the replacement teeth are attached to the others in the mouth. Either way, the spaces in the mouth are filled, and the remaining teeth are supported by the appliance so they don’t move in the jaw. Whether you’re in need of a partial denture or a complete set, make Beach Smile Dental in Redondo Beach your first stop. 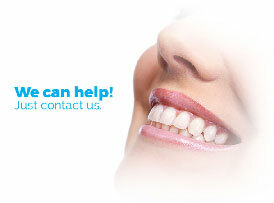 We’ll help you decide what’s best for you, and get you smiling again.